Why Choose Kwekel Services, LLC For Your Ormond Beach Florida Garage Floor Painting Project? Living in FL means tracking in a lot of dirt through your garage! Having your Ormond Beach garage floor painted will pay for itself in no time; with the quick and easy maintenance that newly painted garage flooring will allow. Just a quick broom and a little water and vinegar will keep your garage floor looking great year after year. Call Kwekel Services, LLC for epoxy flooring in Ormond Beach and you'll immediately be aware that you've found a true professional. We take great pride in being available to our customers. When you call for a free quote, you'll be walked through our quoting and garage epoxy flooring process. We'll be happy to schedule a time that works around your busy schedule, and arrive on time for meetings and work completion. Estimates are always free, fair and timely. In most cases, you'll be enjoying your clean, gleaming garage floor in just a few days. Put our experience to work for you, and you will end up with a garage floor that is both beautiful and durable. Need help choosing colors, styles and functionality for your garage floor? Kwekel Services, LLC can help. We've been painting garage floors in Ormond Beach since 1986, and we'd be happy to walk you through our thorough process. It takes patience and time to complete a garage floor properly. We work with you, and around Mother Nature to get the job done right, the first time. 5★★★★★ - "I called Calvin for an estimate and he arrived at my home in the time we had arranged to meet. He was very polite and professional during the time we spent going over the estimate. His estimate was reasonable and affordable and the time frame to complete the job worked for my schedule. Calvin's crew was always on time and always clean up when they were done for the day. They did an excellent job on the painting and I was very happy at the epoxy in my garage. When the job was completed, Calvin and his crew made sure that everything was back in place and did a wonderful job in the clean up. I was extremely happy with the job that Calvin provided that I told my neighbor who wanted her garage floor painted about Calvin. I would use Kwekel Painting again will highly recommend him to anyone who needs a quality, professional painter. Thank you Calvin, it is a pleasure working with you and your crew." 5★★★★★ - "We had an incredible experience with Kwekel Services. Our garage floor was dirty and hard to clean. Kwekel services applied epoxy flooring in our Ormond Beach garage. The garage floor turned out fabulous! Could not be happier with their product or service. Thank you so much!" 5★★★★★ - "They did very good job with attention do details, professional and on time. Highly recommend!" 5★★★★★ - "I like these guys a lot, they are very professional." 5★★★★★ - "After placing a call, Calvin immediately contacted us and set up an appointment to view the house and complete an estimate. We received the estimate in a timely manner and found it to be very competitive. Calvin and his team worked well with our schedule to keep this very very large project moving over the 2 week period that it took to complete. Team Kwekel was always on time and did a quality job. We are very pleased with the results and would hire Calvin again. Thank you Calvin!" 5★★★★★ - "From start to finish Calvin has answered any questions and concerns as well as made adjustments on the install date to accommodate my schedule. Calvin and Josh arrived on time on a Tuesday afternoon, prepped, painted and added the broadcast flakes. Arrived at 8 AM the next day to finish the process. These guys know what they are doing!! They arrived on time, well dressed, top notch equipment and a pleasant attitude. Can't ask for more in a company. I would not hesitate to recommend Kwekel." 5★★★★★ - "My experience with them was excellent. I had no problems with them. They were really professional. I would definitely recommend them. Their price was really reasonable. They did very good quality work. They were prompt and reliable. They did the work that I wanted. They did everything that I asked for." 5★★★★★ - "Calvin and his crew were professional, polite, and neat." 5★★★★★ - "Calvin and his workers were great to work with, all very professional and nice. Calvin was very responsive any time I called! The job they did in my house was absolutely top notch! We would certainly call them for any future painting needs!" 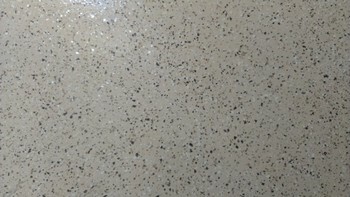 5★★★★★ - "Kwekel Painting installed our large garage floor with a multicolor chip epoxy finish. Calvin who owns the company is a perfectionist. They have impeccable service from start to finish. They were on time, competent, thorough and worked very efficiently. They are really clean and organized in what they do.It was a great experience from the quote to finish product. I would recommend them to anybody because the result speaks for itself. Very happy!" 5★★★★★ - "Kwekel Painting does does a great job. I would recommend them to anyone!"